Senior Blacksmith Forging The Molten Metal On The Anvil In Smithy. Stock Photo, Picture And Royalty Free Image. Image 64592851. 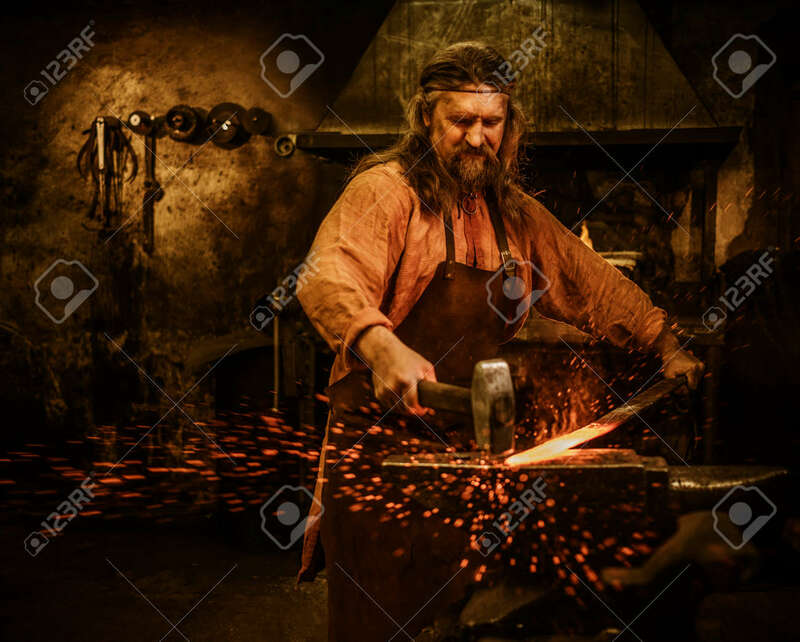 Stock Photo - Senior blacksmith forging the molten metal on the anvil in smithy. Senior blacksmith forging the molten metal on the anvil in smithy.